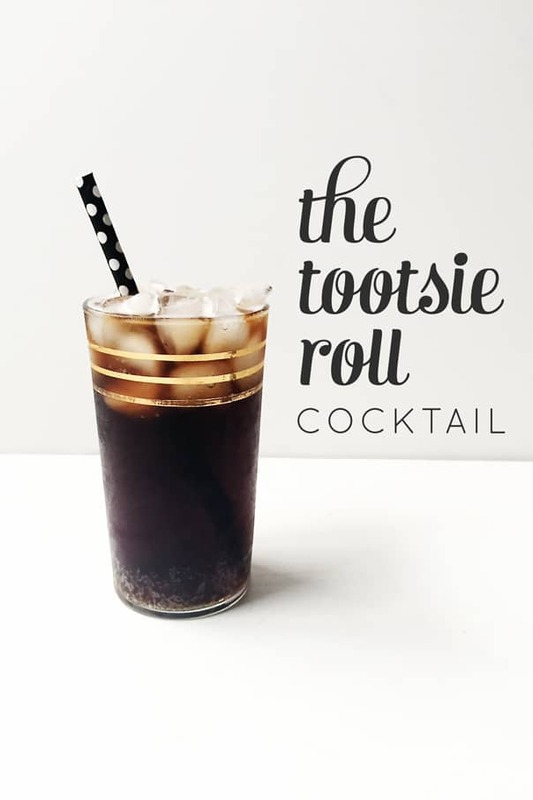 The Tootsie Roll Cocktail is a black candy cocktail fit for Halloween. Made with root beer and coffee liqueur, it tastes just like the candy. Even though it’s spooky and dark, it is sure to satisfy any sweet tooth! 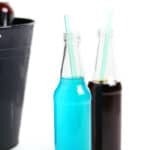 What’s in a Tootsie Roll drink and how do you make it? Let’s find out! Candy, candy and more candy. Right?! When I was a little kid, I loved dressing up, but to be honest the candy was a huge draw. Such a typical kid, I know! It was just SO fun dumping out a bag of colorful, sugary loot all over our living room floor just to see what all I picked up! It was a great way to try new things, too. A future foodie in the making, I guess! 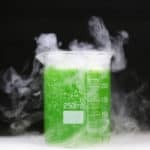 It should be no surprise that now, as an adult, I have taken my love of Halloween candy and turned it into a fun Halloween cocktail in the form of a tootsie roll drink. This Tootsie Roll drink is a candy cocktail that looks like a poisonous, dark potion. A trick! But also a treat! 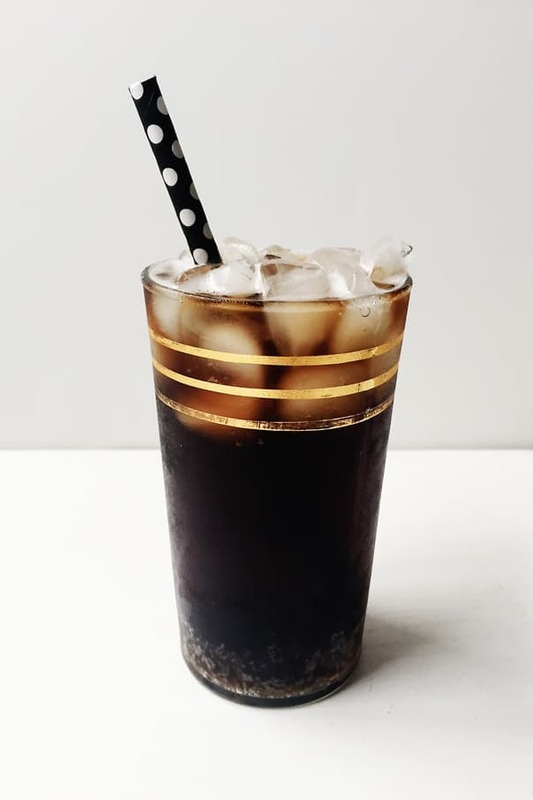 It’s a sweet and fizzy root beer-based drink, spiked with smooth, velvety Kahlua. This is definitely one of those taste-bud trickers. It seriously tastes exactly like a classic Tootsie Roll candy. I’m not kidding ONE bit. 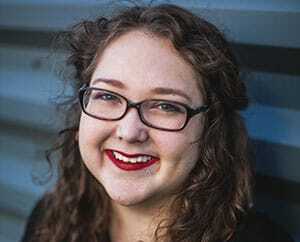 WHAT’S IN A TOOTSIE ROLL DRINK? 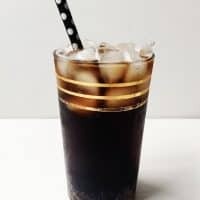 The Tootsie Roll Cocktail is genuinely one of the easiest drinks you’ll ever make. All you need are TWO ingredients to mimic that classic tootsie roll flavor. Yes, you read that right. Only two ingredients: Kahlua and root beer. 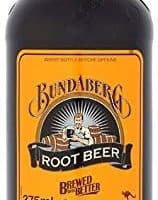 Since this drink has such a simple ingredients list, make sure you use a really good root beer. The fewer ingredients are in a recipe, the more the quality of the ingredients matters! 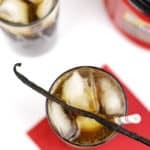 If you want to make your tootsie roll drink extra boozy, you could make this cocktail with an alcoholic root beer. I certainly won’t tell anyone! To make a Tootsie Roll Cocktail, grab your favorite pint glass and fill it up with ice. This is a drink that you’ll want to enjoy ice cold. 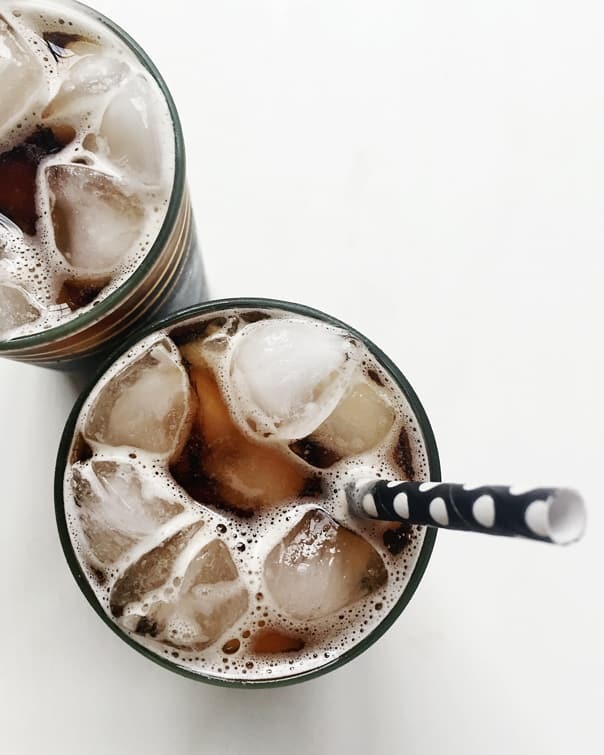 Pour two ounces of Kahlua over the ice, and then fill the glass up to the top with your root beer of choice. Ta-da! 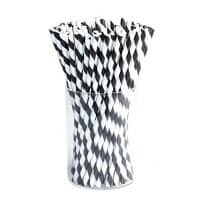 Add a cute black-and-white straw and your tootsie roll drink is now ready to serve. 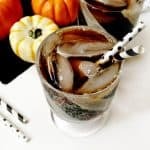 Tootsie Roll Cocktails are so easy to make, they’re perfect for serving at a Halloween party. No need to spend a lot of time behind the bar shaking up a complicated cocktail. No party this year? Sip one of these Tootsie Roll Cocktails as you wait around for those trick-or-treaters to ring the doorbell. 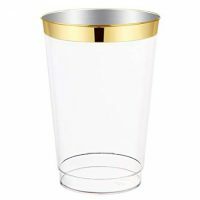 If you’re looking for more Kahlua cocktails, try my Kahlua Coke Float, Baby Guinness Irish Coffee Jello Shots, or Black Russian. P.S. Need even more ideas for a sophisticated Halloween party? 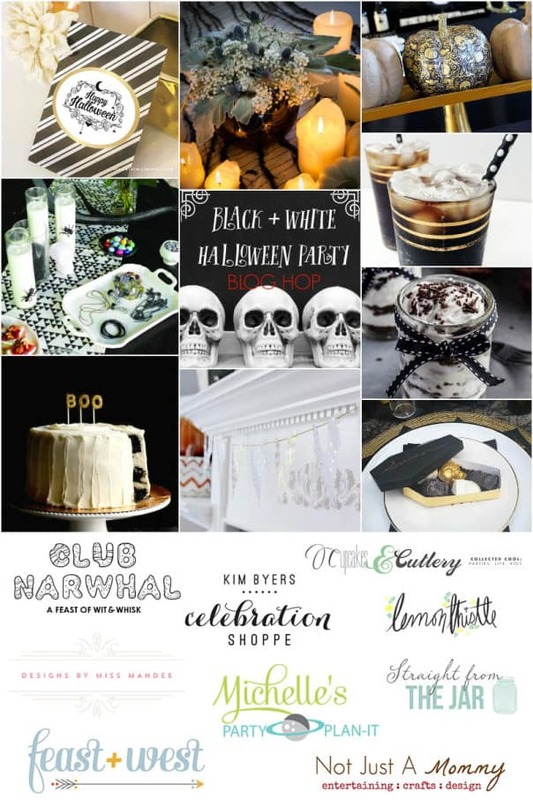 Check out and follow our collaborative Black + White Halloween Party Pinterest board. So many great ideas pinned there for you! 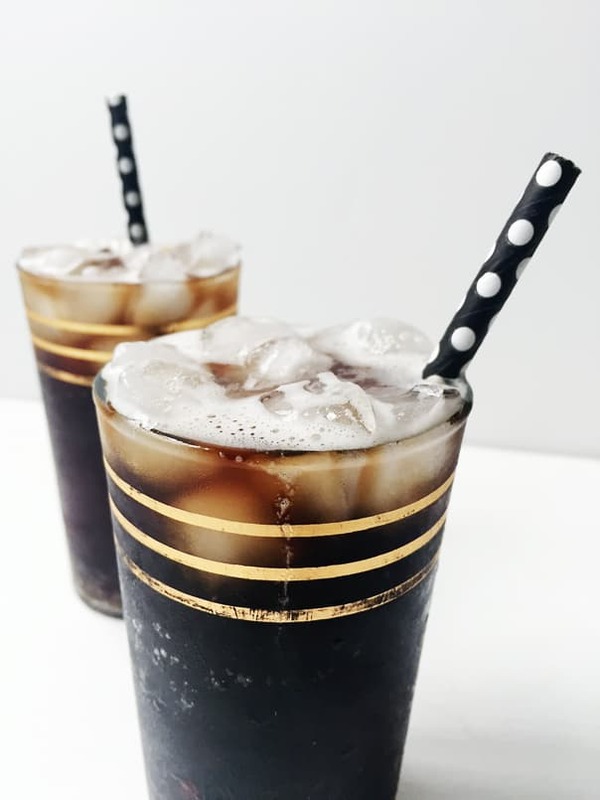 The Tootsie Roll Cocktail is a black candy cocktail fit for Halloween. Made with root beer and coffee liqueur, it tastes just like the candy. Even though it’s spooky and dark, it is sure to satisfy any sweet tooth! Fill glass with ice. Top with Kahlua, then fill entirely with root beer. Serve with a straw. This was just too syrupy sweet for me! I ended up trying 1/2 ounce Kalua and 1/2 Rumchat with a can of root beer and it’s delightful! Thanks so much for trying it, Carol! Glad you found an iteration you like. Sounds delicious!